It all began, once upon a time, in Bangalore.... Like the mysteries hidden in the womb of many a mythological tale dramatised by the Amar Chitra Katha (ACK), there are things the reader does not know about the genesis of this popular comic series. The oft-told story of how it was founded begins with ‘Uncle Pai’, or Anant Pai—whose recent death generated a spate of stories about the ACK phenomenon—in Mumbai in 1967. But it was in fact the restlessness and passion of a Bangalore book salesman called G.K. Ananthram that led to the first Amar Chitra Katha comics being produced in 1965—in Kannada, not English. Ananthram, who then worked at the Bangalore office of the India Book House (IBH), had tired of selling imported English books, including Agatha Christie and ‘Wild West’ writers like Louis L’Amour, and thought it was about time Indian children were exposed, in popular writings, to their own history and mythology. 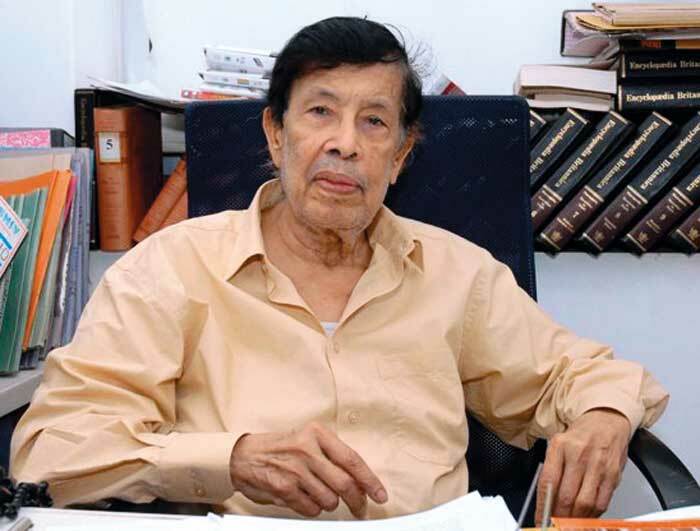 Deeply influenced by the ongoing Kannada literary renaissance (a decade after the Karnataka state had come into being), he also wanted to see children reading more books in the local language. Whenever his boss G.L. Mirchandani, also the owner of IBH, came to Bangalore from Mumbai, Ananthram “pestered” him, as he now humorously recalls, to let him publish books in Kannada. Finally, he managed to get the big man to give him Rs 10,000 for his new baby—which turned out, after a few twists and turns, to be a popular comic series, christened Amar Chitra Katha by Ananthram himself. 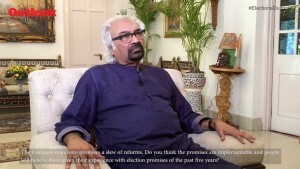 While giving Anant Pai his due, Ananthram says that both the idea and proposal for ACK was initiated in Bangalore. As it turned out, in the interests of the quick start that Ananthram wanted, the first 10 ACK comics were actually classic western children’s stories—Pinnochio, Alice in Wonderland, Jack and the Beanstalk, Three Little Pigs and Sleeping Beauty, among others. But even if not based on Indian mythology, they were at least in the right language. “The English ACK titles begin from number eleven because the first ten were in Kannada,” clarifies Ananthram. Three thousand copies of each Kannada title—retaining the original illustrations of the English versions, but with new voice clouds—were printed in crown 1/4th size. 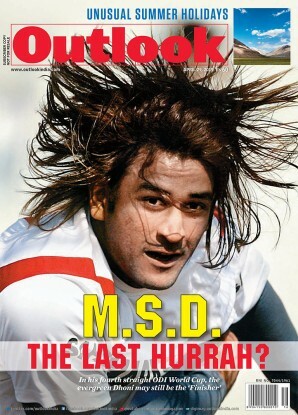 They contained 32 pages each and were sold at 75 paise per comic. 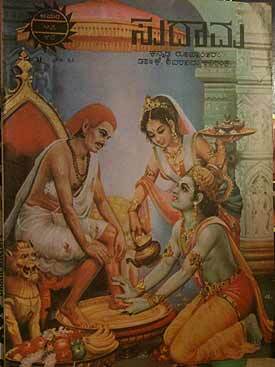 Translator Karanth’s name adorned the cover, and he was paid between Rs 100 and Rs 120 per comic. None of these comics are available today, since the ACK archive was accidentally destroyed in a fire in the ’90s, but one of Bangalore’s oldest booksellers, ‘Puvyasri’ Srinivasan, 77, does remember selling them. To Anathram’s satisfaction, the venture was a great commercial success, and it was this success story that led him to write up a proposal for his head office in Mumbai suggesting a mythological comic series in English to take forward the Amar Chitra Katha project. Mirchandani pursued the idea diligently, and the rest is history. “They brought in Anant Pai, who was handling Indrajaal comics for the Times of India,” says Ananthram. “And he built a wonderful team and a great brand.” But while generously giving Pai his due, he does stress—for the record—that the idea and proposal for ACK were generated back in Bangalore. to Bangalore. A multi-million-rupee sculptural narrative to depict India’s religious, mythological and historical traditions is slowly taking shape here. 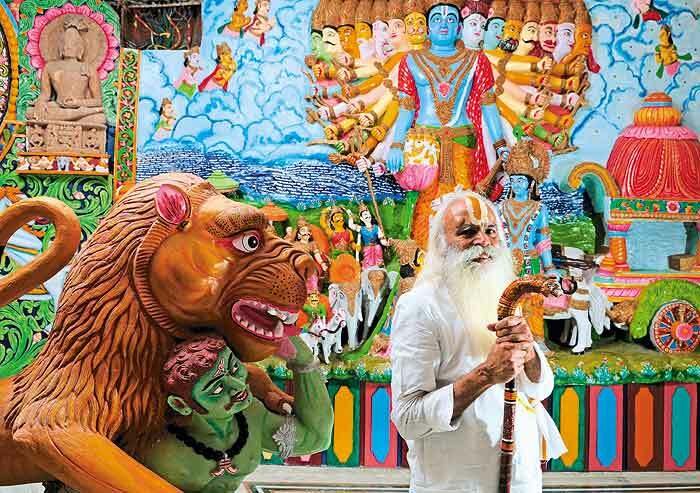 “Indian culture is a mosaic and I want it captured here in stone for posterity,” explains the man who, 46 years after he conceived the comic series, still seems to be still living out the ACK dream in his richly illustrated home. All around him, the graphic vision contained in the comic strips has taken generous shape in an abundance of stone, wood and bronze sculptures.